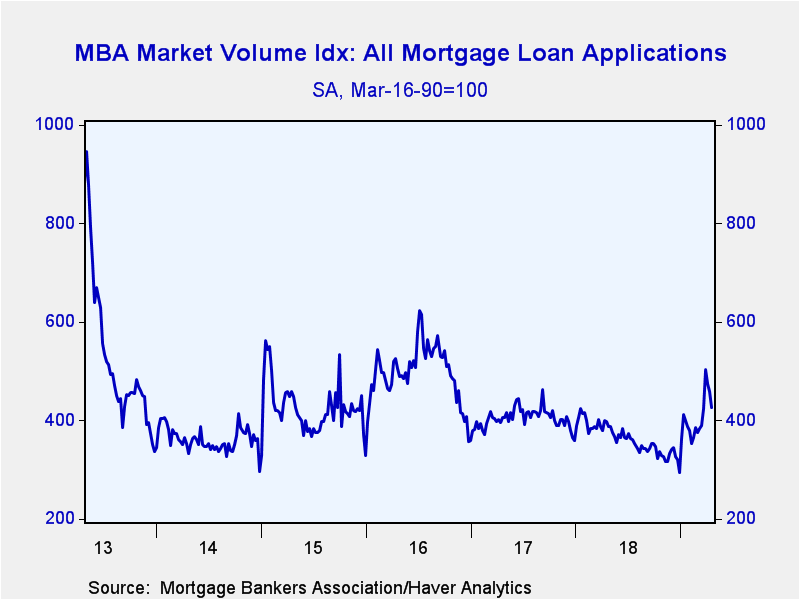 The Mortgage Bankers Association reported that its total Mortgage Applications Index decreased 7.3% (+6.8% y/y) during the week ending April 19. It was the third consecutive weekly drop. 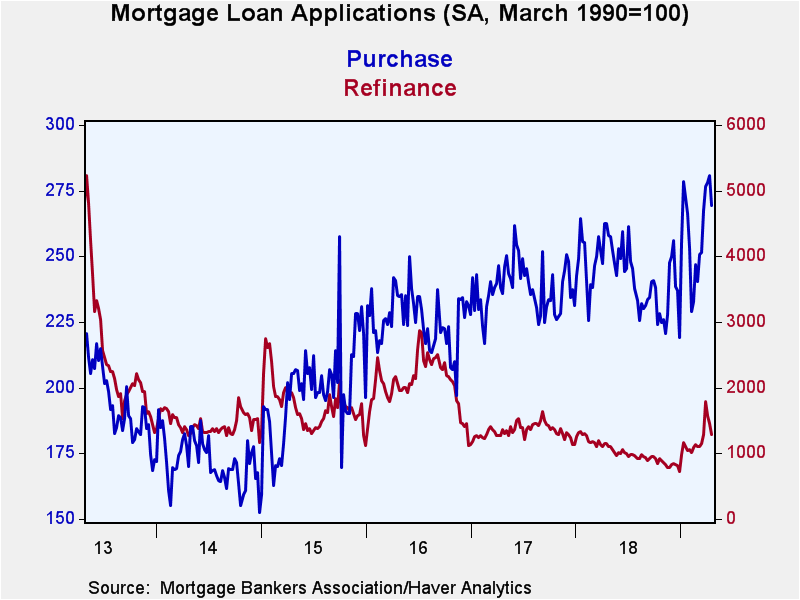 Applications to purchase a home fell 4.1% (+2.6% y/y) after rising for six straight weeks, while refinance activity declined 11.0% (+12.9% y/y), down for the third straight week. 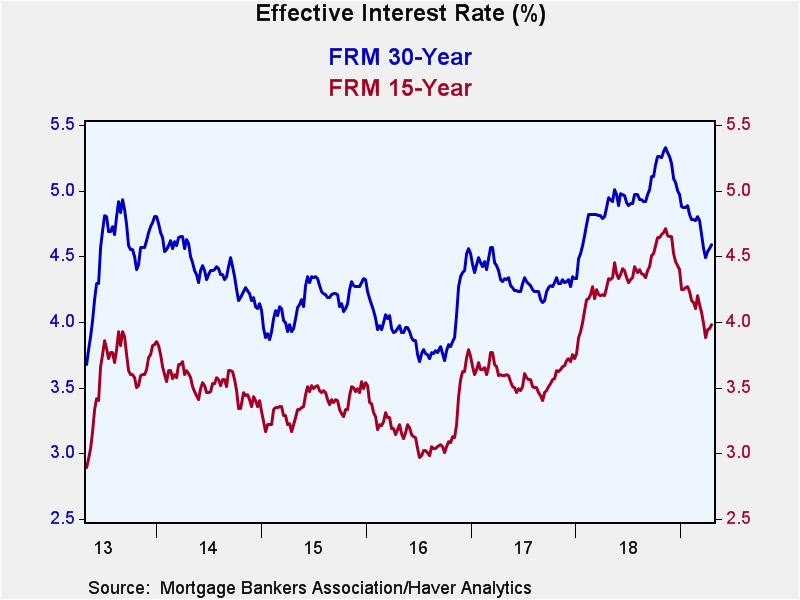 The effective interest rate on a 15-year fixed-rate mortgage of 3.98% compared to a high of 4.71% in November 2018. The effective rate on a 30-year fixed-rate loan of 4.59% compared to a November high of 5.33%. The rate on a 30-year Jumbo mortgage edged up to 4.42% and the rate on an adjustable 5-year mortgage rate increased to 4.02%. The average mortgage loan size declined to $326,300 (+10.2% y/y), down from the record of $381,700 in late-March. For purchases, the average loan size edged up to a near-record $336,600 (6.2% y/y). 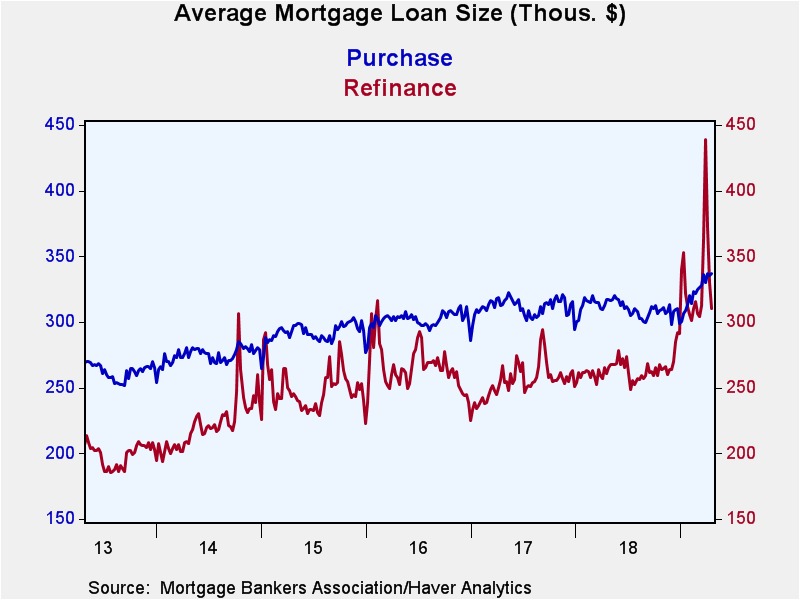 The average loan refinancing size fell sharply to $310,500 (+18.9% y/y) after reaching record high levels in late-March and early-April. These series date back to 1990. Applications for fixed-rate loans rose 6.9% y/y while adjustable rate loan applications gained 5.4% y/y.